This page is going to move.Click on the link below to transfer to the new location. 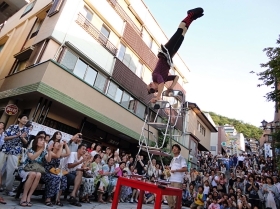 I have received invitations to appear a lot of events(over 400) not only Japan but also abroad.If you would like to book my performance, Please send me a e-mail. 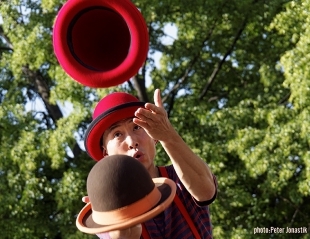 Hiyro is one performer that is difficult to describe.He is more than just a juggler, a clown,an acrobat. His show is always full of surprises and laughter! You will absolutely enjoy his performance as if you read a comic book. Is he a juggler, a clown,or an acrobatperformer? Copyright (C) 2014-2019 Hiyro performance office All Rights Reserved.